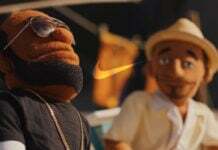 What we have seen across the LeBron line time to time is the use of Graffiti. While it has been a while since we actually saw it used, it was popular at one point of time. 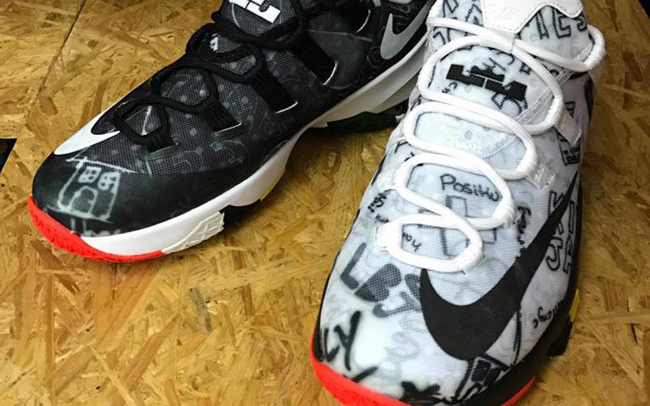 Now the brand will launch another pair soon, the Nike LeBron 13 Low ‘Graffiti’. 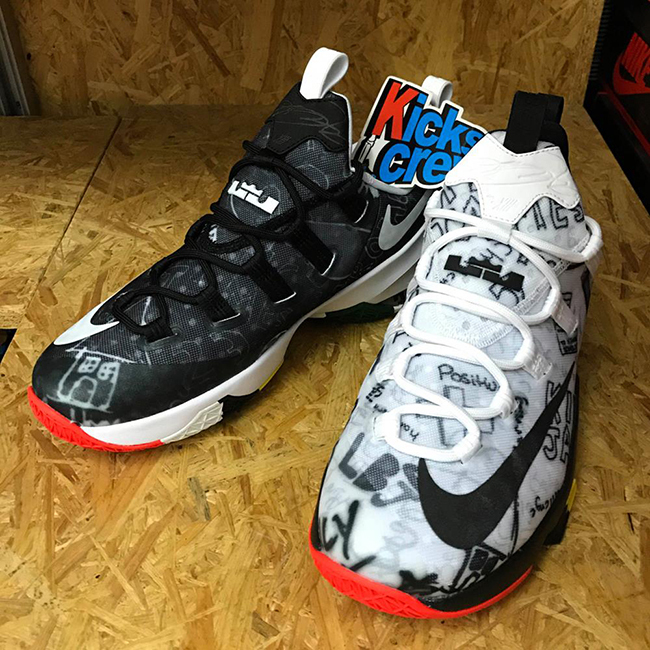 The most interesting part of this Nike LeBron 13 Low release is the use of White uppers on one shoe and Black on the other. 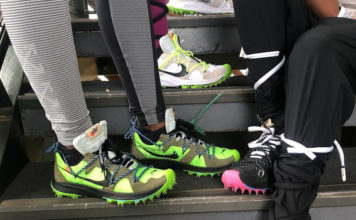 The branding on each will alternate in colors. Throughout the uppers is also the use of Graffiti like graphics with inspirational words, LBJ and more written. In addition we have a multicolor outsole that sports Light Blue, Red, Green, White, Yellow and Black. Completing the look is Akron, Ohio across the airbag. 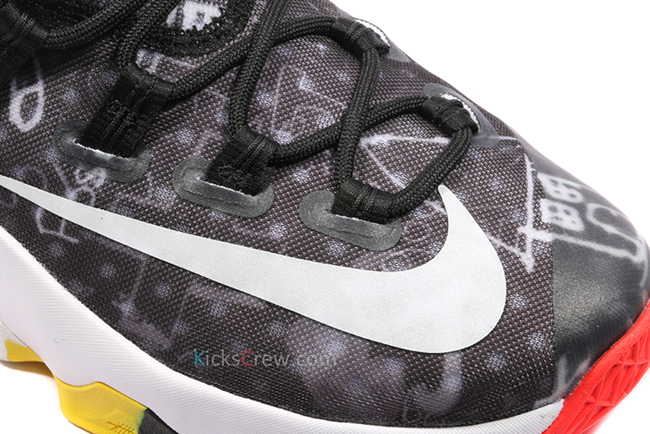 Below you can check out additional images of the Nike LeBron 13 Low Graffiti. 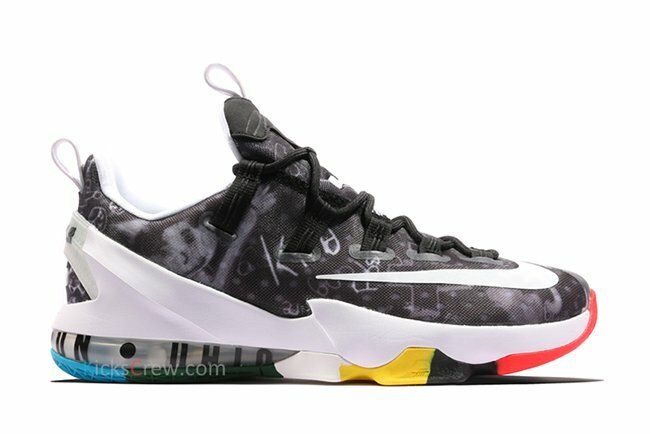 Although a release date has yet to be announced, they are currently available at Kicks-Crew.